Sensei Allen J. Sachetti and Sensei Maribeth Sachetti have spent the last 22 years of their lives practicing, performing and perfecting BJJ. They have trained under and promoted by Rickson Gracie, Royler Graice, Renato Migliaccio, Luiz Palharez, Claudio Fontes and continue also to train at Marcelo Garcia's Academy in NYC. The focus of the Sachetti's has been and always will be for BJJ EXCELLENCE. Their drive to develop only the highest Sensitivity, Technique And Conditioning to apply BJJ best according to the demands of the fight is truly amazing. As a student you will tremendously benefit from this as they will leave no part of your game lacking. Mr. &amp; Mrs. Sachetti have an incredible attitude of service in their teaching and a phenomenal depth of knowledge that goes far beyond the basics to give you a much more advanced skill level and ability. Call 302-743-3115 to try a FREE class. The Dauntless BJJ Fundamental Course Develops In You A Comprehensive Skill Set For Stand Up, Mount, Guard, Cross Body And Back. With Proper Instruction On All Technique Details And Principles Of Leverage, Body Mechanics And Energy To Make Sure You Can Control And Escape Positions To Become An Excellent BJJ Blue Belt Within 12 Months. The Dauntless Intermediate Course Takes You From Blue To Purple Belt Expanding Stand Up And Ground Positions With Fetal Mount, Spider Guard, DeLa Riva Guard, Butterfly Guard, X Guard, Sit Up Guard, 1/2 Guard, North South, Knee In Sternum, Alligator, Hammer, Turtle, Leg Locks And More. For Those Who Earn Their Purple Belts Dauntless Takes You To The Brown And Then Black Belt Levels With More Positions, Escapes, Submissions &amp; Techniques Than We Could List Here. Even More We Develop Your Sensitivity, Reading And Flow To Master The Energy Of Your Opponent Far Beyond What He is Capable Of Dealing With. Josh Sachetti of Dauntless MMA in Newark Delaware competes at the XCC MMA Fighting Championships in Philadelphia PA on Feb. 19th, 2016. Josh executes some of the cleanest BJJ ever seen in an MMA Fight!! Dauntless MMA & BJJ only 5 mins from UD at Dauntless 13 Prestbury Square, Newark Delaware 19713 is now giving UD Students a big discount for unlimited BJJ & MMA Courses. All UD Students who come in before the end of 2015 can get a full month of unlimited BJJ & MMA Training for only $99.95. To take advantage of this great offer perspective students must call 302-743-3115 to make an appointment to come in. Dauntless MMA & BJJ is easy to get to from the University of Delaware. Coming from UD just Take Rt. 72 or Rt. 896 to Rt 4 and make a left turn onto Rt 4, then follow Rt. 4 past the Shop Right on your right to see “Vince’s Sports Center” on your right. NEXT get in the left lane and turn into the “COOPERS APARTMENTS” then make a left into the center to see the small shopping center in front of the apartments. Dauntless MMA & BJJ is in the lower level, down the stairs. Park on either side. Sensei Allen J. Sachetti of Dauntless BJJ in Newark Delaware teaches you here an amazingly effective closed guard pass if you can get the “unseen” part of this move. The “Unseen” part of this move is the how you place weight and apply energy as you move to kill your opponents hips. Then how you transfer weight and again press or apply energy as you move. This “Unseen” part of BJJ is what really makes your moves work or not work. In the Guard there are some very common and frequent attacks that occur in BJJ, Submission Grappling and MMA competitions. The opponent will try to go under the legs and throw them over your head or they may try to push down on your legs and step or drive over them. Each of these attacks to your guard are so frequent that they demand you spend a certain amount of time getting use to them. Also if the opponent is particular larger and stronger than you, these attacks can be more challenging. However there is a quick and easy way to react to these energies BUT it must be instinctual for you. Here Sensei Sachetti goes into great detail on how your must react to each energy. After you watch the video the next step is to come into Dauntless in Newark Delaware and PRACTICE our specific BJJ drills that develop this skill in you so that it becomes instinct. Call us at 302-743-3115 to try a Free Lesson. Do you have a good understanding of the BJJ Elbow Escape? Have you ever tried to use it against a really good or really big opponent and then not succeeded in escaping? Here BJJ 2nd Degree Black Belt Allen J. Sachetti gives you the answer in this much more detailed and in depth lesson on the Elbow Escape. His explanation enables you to almost feel the specific way that you must frame and sense your opponents energy in order to execute your own movements correctly to truly make this escape without being countered. Some may consider this basic UNTIL THEY CANNOT ESCAPE. The truth is refined fundamentals are not basic, they are advanced. Quality is always harder to deal with and not all elbow escapes are the same. There is a lot of intricate details and ways of energy distribution that you must master in order to have this down. Dauntless BJJ now returns to Newark Delaware to offer the highest quality of BJJ Instruction for students of Northern Delaware, Southern New Jersey and South East Pennsylvania. Come learn all of the intricate details and specific ways to use energy and weight to make your BJJ nothing less than excellence. 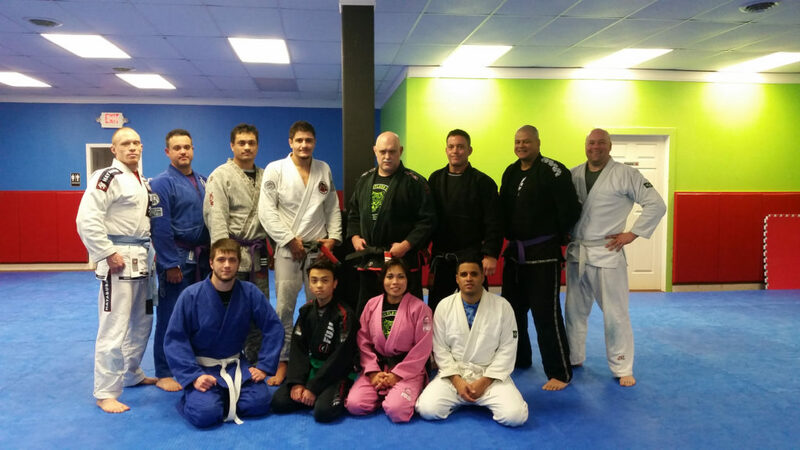 At Dauntless Great BJJ is much more than just the moves. It starts first by developing a good sensitivity to read your opponents intentions before they happen to be able to react precisely with the right move to take advantage of your opponent’s energy. Dauntless will be offering both Fundamental BJJ for beginners and Advanced BJJ classes for Blue Belts and above at our new location to be announced soon. Team Dauntless is also competing in the 2015 Grappler’s Quest US National Championships on June 6th, 2015. No teacher could be more honored by the Heart, Determination, Focus, Patience and Skill Level that was displayed by his Team than I am right now. All of you were excellent and worked very hard and very smart. You showed true patience, sensitivity and quality technique against the Worlds Best Grapplers. It was a very good tournament and now we will all be working to achieve an even greater skill level as we proceed to meet not only for our foundational classes but also our more frequent advanced classes now. No other school from Delaware even showed up to the 2014 Nationals but our Men really distinguished themselves. I Praise God And His Son Jesus Christ for having the opportunity to be your teacher. 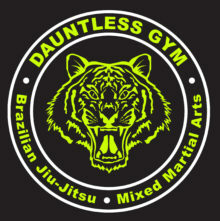 Dauntless Martial Arts at 4446 Summit Bridge Rd. Newark DE. 19709 offers BJJ students quality, in depth teaching from a large knowledge base of almost every BJJ position. Allen & Maribeth Sachetti are not doing this as their hobby, they both have distinguished fighting careers in BJJ, Grappling, NHB, MMA, Stick Fighting & Sport Knife Fighting. They have spent serious time with the worlds best like Rickson Gracie, Royler Gracie, Luiz Palhares, Renato Migiliaccio, Claudio Fontes, Leo Gaje and more to also develop skills on their own at great depth through constant repetition and wrestling. All that being said what makes Dauntless the best BJJ around quite frankly is the way they teach. The Sachetti’s have an in depth curriculum that shows students EVERYTHING, all the moves, submissions, escapes and the flow in between. They hold nothing back when they teach giving detailed explanation as you learn showing you things that you would otherwise miss with a legitimate concern for your development. Dauntless is not like other BJJ schools where the teacher works a full time job and just does BJJ as a hobby, so that when you go there he just goes over what he wants and then uses you at the end to wrestle for him to practice his moves. NO at Dauntless they teach you step by step, breaking down all facets of the move and then give you time to practice UNTIL YOU ARE GOOD!! Ask as many questions as you like and they will give the answers, then build you up in positional wrestling first before you start going further and further. Come in and talk to the guys there who have been with Mr. Sachetti for 3, 4 and 5 years. THEY ARE GOOD.